"The government has brought out the Army reserves as civil unrest grips the nation. 41 people were arrested across the nation." No, that's not Greece, or Spain or France where civil unrest is mounting every day due to high unemployment, social inequalities, and national anger at government. That was the Caribbean island nation of Jamaica in 1978 -- one year after Prime Minister Michael Manley was forced to sign an IMF loan agreement. 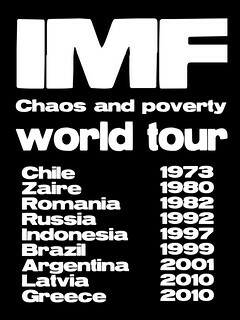 And after he was elected in 1976 on a non-IMF platform. 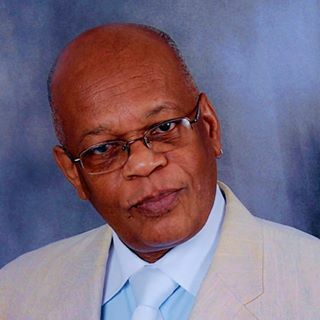 Indeed, the old political adage that "you campaign in poetry and govern in prose" appeared to have been lost on one of Jamaica's most progressive and able political leaders. Mr. Manley's dilemma, and today Greece's conundrum, was that in both cases there were and are no viable alternatives to a burgeoning external debt, high import bill, especially for fuel and basic food items, and runaway poverty and unemployment rates. Today, it's Greece; in the mid-1970s it was Jamaica. And the same techniques of internal destabilization and unjust and unfair policies that were rammed down the Jamaica government's throat are at work today in Greece. The formula of draconian cuts to social spending that disproportionately negatively impacts mainly the poor and working class, unfair trade regimes that favor multinational business corporations, austerity measures that target reductions in education and health spending, and the large-scale privatization of national assets were "field tested" in the Jamaican and Caribbean incubators long before it was Greece's turn to bat. In both the Jamaican and Greek contexts the IMF and World Bank loans were conditional on structural adjustment policies. In both cases these "bitter pills" required that the countries undertake major economic reforms that included trade liberalization, privatization and currency deregulation. Trade liberalization in the Jamaica case resulted in the death or local industries that could not compete with United States goods that were heavily subsidized by the United States government. Hardest hit were the livestock industry, the farming sector, construction and small businesses. The benefits of the austerity program never materialized and Jamaica found itself saddled with a $4.6 billion debt. In some cases the Jamaica private sector was complicit in undermining the Michael Manley government that it saw as too Left-leaning and not towing the United States corporatist line. They embarked on a program of creating artificial shortages by deliberately hoarding key food items thus adding to the internal unrest. One remembers the infamous "pots and pans" marches by irate housewives because of the recurring shortages of food items on supermarket shelves. Up to the time of his passing Manley remained highly critical of the IMF and World Bank and accused both of them of attacking the sovereignty of small, defenseless former colonized countries. The World Trade Organization today completes the troika that undermines democracy and acts as agents of the rich countries and their corporate elites. Manley also pointed squarely at the IMF and World Bank saying that their system of dealing with the so-called Third World nations was "akin to imperialism and neocolonialism." Nothing has changed between 1978 and 2015. If anything things have gotten progressively worse. Greece is in a similar situation today. Its austerity program is driven by German intransigence and control that goes back to the Second World War when Germany occupied Greece. One unfavorable condition for Greece to join the Eurozone was to abandon its national currency, the Drachma, in favor of the Euro. Today, rapacious banks who loaned successive Greek governments money to meet their debts are demanding usurious terms of repayment, adding to the country's woes. Like Jamaica before it, in actuality the amount of foreign exchange that must be generated to meet interest payments and the structural adjustment policies which have been imposed with the loans have had a negative impact on the lives of the vast majority of Greeks. Greece today is paying out increasingly more than it receives in total financial resources, and if the IMF's benchmark conditionalities are not met, the structural adjustment program is made more stringent with each re-negotiation. To deal with this issue and to handle and improve its balance of payments Jamaica back then embarked on a downward spiral of currency devaluations (which inevitably raises the cost of foreign exchange), high interest rates (which raise the cost of credit), and wage guidelines (which effectively reduce the price of local labor). According to some economists, the IMF, that hatches these programs with little or no input from local governments and is a kind of "one size fits all" model, assumes (erroneously) that the combination of increased interest rates and cutbacks in government spending will shift resources from domestic consumption to private investment. It is further assumed that keeping the price of labor down will be an incentive for increasing employment and production. The end result has been a massive increase in unemployment, sweeping corruption, higher illiteracy, increased violence, prohibitive food costs, dilapidated hospitals, and increased disparity between rich and poor. We've seen Greece before - in Jamaica starting in 1978. We've witnessed the unrest, violence and demonization of Prime Minister Michael Manley as a deranged and incompetent "socialist," who was not able to understand the virtues of capitalism or was downright hostile to it. It is the same charges leveled at Greece today as its national crisis unfolds and undulates from day to day.